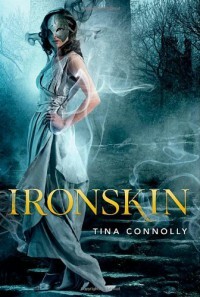 Posted on Dark Faerie Tales.“Jane Eliot wears an iron mask.” Ironskin by Tina Connolly captivated me just by those few words. Steampunk, the world of fae, told with hints of a couple classics. I couldn’t wait to dive in to this one. There are many elements that drew me in, but the main fact that essentially Jane Eyre wears an iron mask? Definitely count me in.Jane Eliot is living post-war. The Great War affected everyone dearly. The faeries came with their magic, taking souls, ruining lives, and terrorizing the masses. But it has been five years since anyone has seen the fae. As a constant reminder of the war, Jane wears an iron mask, covering half of her face. Like it was in historical times, beauty and social stature is everything. Because of Jane’s physical shortcomings, she has sought out a life as a governess, which brings her to the Rocherts. Edward Rochert seeks a governess for his daughter, Dorie; not just for regular schoolings, but primarily to control something special that only Jane would understand. I was excited when I first picked this up. It isn’t every day that I come across a historical steampunk with elements from two classics: Jane Eyre and The Man in the Iron Mask. It’s often difficult to please the masses when it comes to comparisons, so I’ll leave that out of this review. What I will talk about is the actual plot and content. Some I liked, some not so much, and others it just was not for me. I appreciated how Jane was written. She, in every sense of the word, is a survivor. She survived the war and is still surviving society. It isn’t easy to write a heroine with a flaw. While many authors do so, I always think that it’s difficult to find that fine line of adoration while respecting the realistic humanity that they have. For Jane, I connected with her personality. She was tenacious and smart. I didn’t always agree with her approach. Maybe it was the events that led up to these moments, but there were a handful of times that I disconnected with her. The supporting cast was eclectic, as is a majority of this book. I feel that the character traits, abilities, even the personalities are going to be something that not everyone understands. The characters added to the effect of the post-war world that Connolly built. Without them, I wouldn’t have understood exactly how dire things were. Well, maybe not dire, but you get what I mean. Connolly’s world was gothic, building on dark imagery and horrifying scenes. But it was clear to me that Connolly’s world in Ironskin was her own. 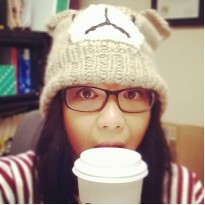 Sure, she may have used elements of Jane Eyre or even Iron Mask, but this story is still hers. I may not have fully understood each aspect, but I respected where she was going. I appreciated it enough to enjoy it for what it was: fiction written by an author. Ironskin’s plot was unique. Connolly showcased society at its best and at its worst. She also used this parallel towards the beauty of fae and the ugliness of their evil. It was entertaining at a simple glance, before I began to dissect it.I urge you to read Ironskin for its unique ability to bring elements of classics and turn them into its own.